We are honored to have been chosen by the SourceForge Community to be “Project of the Month” for October 2016. 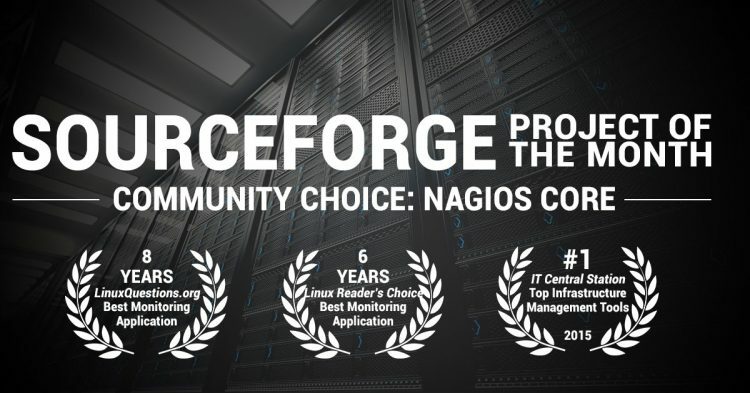 For our October “Community Choice” Project of the Month, the community elected Nagios Core, powerful network monitoring software, enterprise-class host, server, application, and network monitoring tools. Designed to be fast, flexible, and rock-solid stable. Nagios runs on *NIX hosts and can monitor Windows, Linux/Unix/BSD, Netware, and network devices.